Dimensions 1.50 by 12 by 9.75 in. ÃÂ Apeloig's career began in 1985 when he designed the poster for the MusÃÂ©e d'Orsay's first exhibition, "Chicago, Birth of a Metropolis." He has since created many more seminal posters and his own typefaces, includes Octobre and Drop. 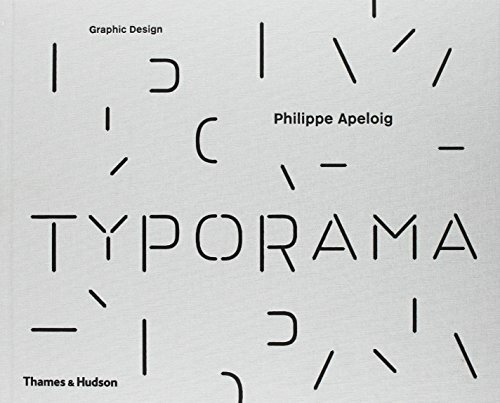 This book, published to accompany a major exhibition at the MusÃÂ©e des Arts DÃÂ©coratifs, Paris, surveys and explores the entirety of Apeloig's graphic design process and philosophy, reproducing posters, logos, visual identities, books, and animations, and analyzing the influences that fuel his work. It will be required reading for anyone concerned with the recent history of graphic design. About: A retrospective of a distinguished graphic designer, influential on both sides of the AtlanticA consistent vision pervades the design endeavors of Philippe Apeloig.